WAIST HIGH: Marc Almond Wins MOJO Hero Award. 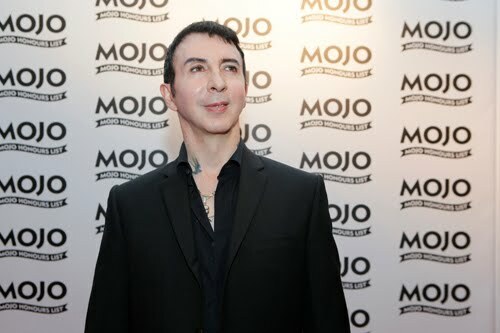 Marc Almond Wins MOJO Hero Award. Of the honor, Phil Alexander (MOJO's Editor-In-Chief) had this to say: "When we found out that Marc Almond was celebrating his thirtieth anniversary as a singer we felt we had to mark the occasion. Anthony Hegarty (of Antony And The Johnsons fame) was of the same opinion, and flew in especially from New York to present this award. Essentially, the MOJO Hero Award honours the work of someone truly beloved by the magazine and Marc is one of those guys. He is the greatest torch singer still out there. Marc puts so much of himself into a song. He is a rare performer. A true hero." Marc's first LP of original songs in over a decade, Varieté, was released June 7 in the UK (June 15 in the US), and to celebrate his 30 years in music Marc will set off on tour at the end of the year. The new album, according to Almond, is a celebration of nostalgia, and deals with "the themes of the changing times, a yearning for simplicity, regret at loss, growing older, loneliness through the eyes of a performer, madness, letting go, acceptance, as well as our obsession with nostalgia." Other honors from The MOJO Honours List 2010 include Devo who took home The MOJO Merit Award and Daniel Miller who received The MOJO Medal: "This is the award that honours the industry stalwart, the old school 'record man.' Daniel Miller is all that, and could also be considered the godfather of electro-pop. He has a view of music that is unique and, like all great labels, Mute is a reflection of its founder's taste. Daniel is loyal and he sticks by his acts and lets them develop. I think he feels totally protective of them. The fact that Kraftwerk - the band that inspired him so much - are now under the Mute umbrella is a great testament to a man who is so deserving of this award." The full MOJO Honours List 2010 can be found here.